Maureen McDonnell has been a holistic, nutritionally-oriented registered nurse for 37 years, working n the fields of: childbirth education, labor and delivery, pediatrics and clinical nutrition. She is the former national coordinator of the Defeat Autism Now Conferences, and the co-founder of Saving Our Kids, Healing Our Planet (SOKHOP.com). Maureen researches, writes and lectures widely on ways to minimize the occurrence of autism, as well as the role the environment and nutrition play in women and children’s health. She is the health editor of WNC Woman Magazine and featured writer for the Deirdre Imus Environmental Health Center. 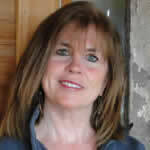 Presently, Maureen serves as the Medical Coordinator of the Imus Ranch for Kids with Cancer in New Mexico. She and her husband have eight grandchildren and feel blessed to be living in the beautiful mountains of North Carolina.